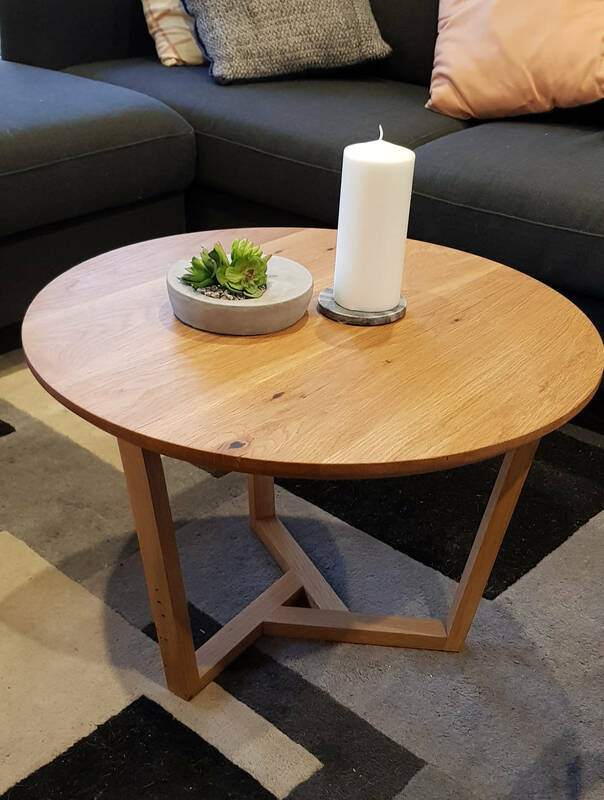 Laurel Coffee Table is made from American Oak Timber, this furniture is Crafted beautifully and fixed to our architecturally designed tripod legs. The minimalist leg design is elegant and meets with a triangle feature . The round top comes in an array of timber options. At J R Bespoke Design we create unique, custom made furniture. We produce custom furniture in modern as well as traditional designs as per client’s requirement. 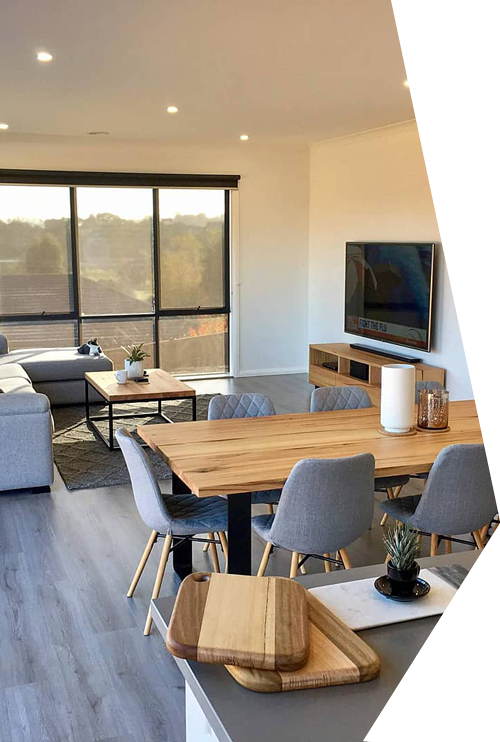 Our wide range of furniture includes Console Tables, Coffee Tables, Dining Tables, TV Cabinets, Entertainment Units, Buffet Units etc. We only use sustainably sourced timber to construct every piece of furniture. Get the finest quality custom furniture that will fit your size requirements and style.